In 2016, Minerva Canada partnered with the Chemistry Industry Association of Canada, the Canadian Society of Chemical Engineering and the University of Waterloo Cases in Design Engineering group in establishing the Minerva-CIAC Responsible Care case study competition. This competition is open to all engineering students from all engineering disciplines and registered at Canadian institutions. Three prizes will be awarded of $1,000 (First Prize), $500 (Second Prize) and $250 (Third Prize). The 2019 rules and regulations are shown below. Students shall advise Minerva if they wish to participate in this case study competition by sending an e-mail at minerva@safetymanagementeducation.com by February 28, 2019. Student Submissions of the Case Study analysis are due no later than April 2, 2019. 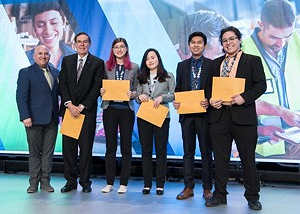 Engineering students from the University of Toronto were awarded first prize while University of Calgary Teams were awarded second and third prize money at the May 1, 2018 Partners in Prevention Conference in Mississauga , Ontario. The 2018 case study for the competition and hosted by DuPont Canada can be found on the Minerva website. See 2018 Minerva press release below for details. 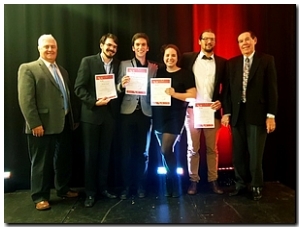 Engineering students from Polytechnique, the University of Toronto and the University of Waterloo were awarded first, second and third prize money respectively at the October 17, 2016 Canadian Chemical Engineering Conference banquet in Quebec City. The 2016 case study for the Competition and hosted by Glencore can be found on the Minerva website. See 2016 Minerva press release below for details.